Moxie Midwifery is a home birth midwifery practice located in Chandler, focused on empowering mamas to bring their babies earthside through a beautiful, triumphant birth experience in the safety and comfort of their own home. All hour-long prenatal visits, the birth, and all five postpartum visits are facilitated by Jennifer Hoeprich, a licensed home birth midwife since 2011. Moxie Midwifery offers free use (including set-up and take-down) of a labor and birth tub, and alternates visits between your home and her office, conveniently located at Kyrene and Chandler Blvd in Chandler. 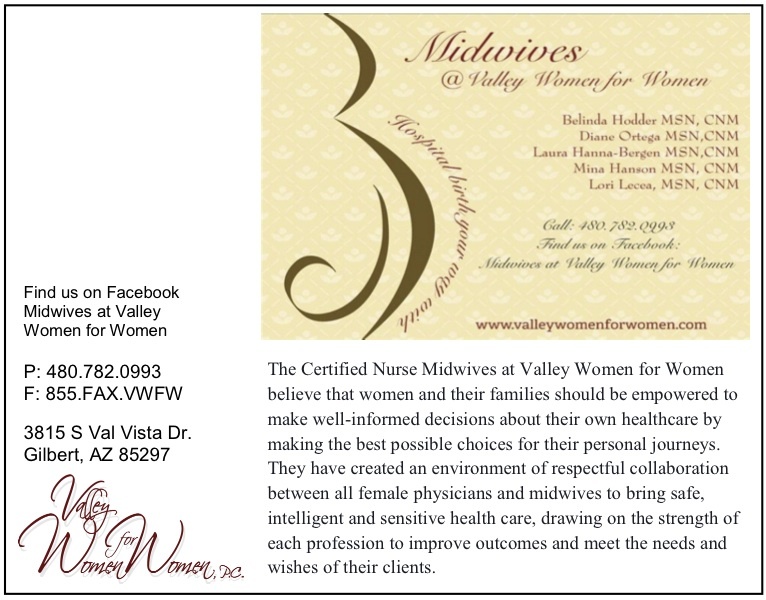 Moxie Midwifery serves the East Valley, including Maricopa and Casa Grande, and offers a $100 discount to all clients taking a Bradley Method Class and an additional $100 discount to any clients hiring a doula.